Ramblings from an Over-Squozen Brain: What an Experience! Last week Jeff Murphy and I attended a conference for church leaders at Healing Place Church in Baton Rouge. The conference was called the "HPC Experience" because we got to experience the way Healing Place does things. They're a fast growing church that's doing a lot of things to impact their community. They get asked all the time to share how they do some of the things they do and they've created this conference to provide some hands-on experience. It was a wonderful conference. In addition to the ideas we picked up and the inspiration we gained I also got to visit with an old friend from my Mexico missionary days. Joel Dyke and I served in south Mexico as missionaries during the late 1980's. I returned to Pineville in November of 1990 and Joel now pastors Life Church West Monroe. We got to spend a lot of time together, including a wonderful evening with HPC Pastor Dino Rizzo in his home. One of the things that came out of this conference was a deeper understanding of our vision with regard to the community. I had a clear understanding of how we were to relate to one another within our four walls, but I wasn't clear on what Christian Challenge was supposed to look like to the larger community. 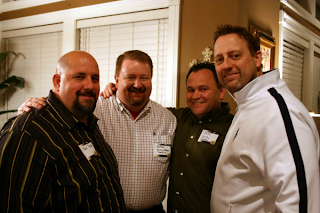 The HPC Experience helped me gain a clear perspective of how we are to relate to our neighbors. And it can be summed up in one word: CARE. 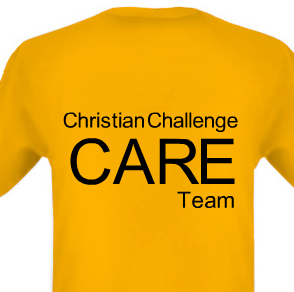 Christian Challenge Cares. We want to reach out to our community with an open hand, seeking to serve without expecting anything in return. I'm excited about what the Lord has for Christian Challenge. I look forward to demonstrating the love of care of Jesus. I thank God for Jeff Murphy who went with me. He has really caught the vision and is providing valuable leadership to our efforts. I appreciate my friend Joel Dyke for telling me about the HPC Experience and for being a friend who always believed in me. I thank God for Dino Rizzo for inspiring me to believe that we really can touch our community. Fasten your seatbelts, Christian Challenge! It's about to get exciting!! !